Your lawn relies on you to help it stay healthy and beautiful. This is what most people want from their lawn. But you must assist it by keeping it well maintained if you want it to give you what you are looking for. Keeping your lawn cut regularly is essential to have some preventative care lawn maintenance on your property. This will help prevent your lawn from falling prey to diseases due to tall grass growth which in turn will help cut down the nemesis of the lawn like pest & inclement weather destruction. Keeping your lawn mowed regularly will help your lawn in many ways to look its best. One of the ways is that your lawn is receiving mulch every time you mow which provides nutrients back to your lawn. Not only that, longer blades of grass are weaker & less nutrient rich. By keeping it mowed at the suggested length of 2 1/2 to 3 inches allows your grass blades to become stronger in a group together. This is much better than having longer weaker grass blades that add conflict to your lawn. When we cut our lawns regularly, we actually help it maintain an even growth. It will become more uniform which will permit an even distribution & absorption of resources that come from the sun & rain or watering. This will help your lawn to look its best. Your lawn has to also go through a recovery process after you cut it or goes through a drought. for example. When you keep your lawn maintained, it helps it to recover from such stresses. 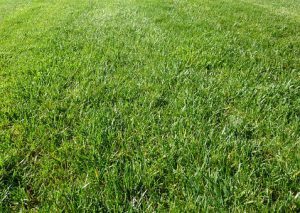 When you let your grass grow tall you will make it possible to cut too much off a blade at one time which also stresses it. It is recommended to not cut more than 1/3 of a blade off when mowing. Regular mowing will help ensure that you don’t. Keeping your lawn cut regularly is how you provide preventative maintenance to your lawn. By doing this you allow your grass to naturally hold its balance so that it can look its best for you. This way you and your lawn can be happy. 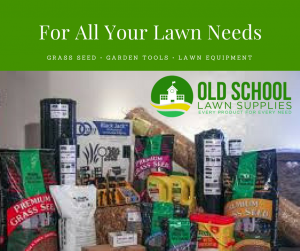 Thanks for visiting and if you have any lawn needs please take a look at Old School Lawn Supplies for great prices and products. Please leave any questions or comments in the comments section. I was wondering what will happen if I don’t cut my lawn on a regular basis. Right now it is around 5 inches and I believe that I will cut it during the weekend. Thanks for your article, I’ll make sure to stay away from those diseases and I will cut it more frequently from now on! 5 inches is pretty long Andrei. Lower your lawn mower a little. You can stand to lower it to about 3 inches and you should be fine. And if you cut it at least every 10 to 14 days you will be doing great. Thanks for the very informative article. I can see why it is important to cut grass regularly. Stress concept is something quite new to me, it helps understand why I had varying results though. 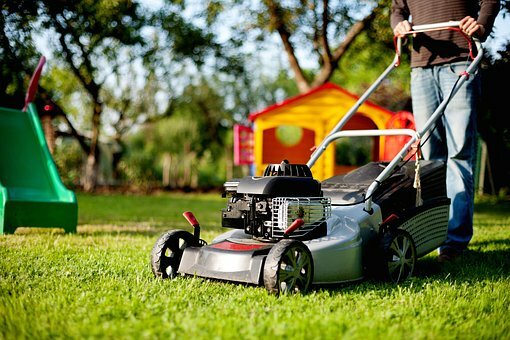 Would you be able to recommend good mowers for small lawns? It truly does Fred. Anytime it gets cut or there is a drought it has to regroup itself. But as far as the lawn mower goes, there are all kinds now and if you are an eco-friendly type person you might want to go with an electric or lithium battery one. But I feel that you want to get a brand that has a durable model on all types so your yearly tune-up will last you all season. For those of us that care about our lawns these are words to live by. Not only does keep your own yard looking good it also add to the overall appearance of your community. Good info on the “why” to keep your lawn mowed. Very informative. Thanks, Shane. That is true. Your neighbors appreciate it as well when you keep it maintained as well as the community in a whole. But is amazing that a lot of people will cut their lawns 1 time in a month. Mostly it is because they simply don’t know the benefits of keeping a lawn serviced. I didn’t realize that grass needed to recover once it was cut. My dad always watered right after cutting his grass, but my husband says that’s a bad idea and it should be watered the next day, or if it’s cut early, then late evening. I figure as long as I’m not watering in the heat of the day and wasting water, it doesn’t really matter. Which do you recommend? The really main point is to make sure it is getting at least an inch of water weekly. This will make sure the roots stay healthy which means a healthy lawn. But I would say the next day is fine. Thank you for this post! I wasn’t aware that the yard should be kept at that length! I think this will help when mowing and trying to make our yard look beautiful! Thanks again for that tip! Just think of it as cutting your hair. If you keep it regularly cut there are no frizzy ends and it all looks uniform and you have healthier hair when you take care of it. 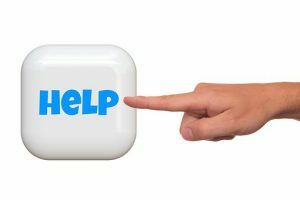 Wow – This article is short, but power-backed with great information. I never realized the importance of regular mowing. Now I see that it has a number of benefits. How often would you recommend I mow my lawn for optimal health? Thanks, Brian. I try to recommend at least every 10 to 14 days depending how much rain there is. when there is a lot of rain it will grow rather quickly. I never knew that getting a lawn cut regularly helps maintain even growth. Personally, I believe an even lawn helps keep people safe so they don’t trip or something on the lawn. 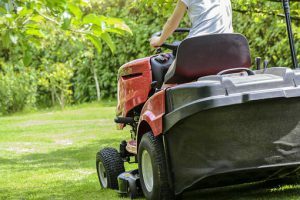 Thank you for the information about how regular maintenance of a lawn, like using a lawn care service, helps keep an even distribution of resources for a pretty lawn. You are welcome. Whether you do it yourself or have someone else do it, it helps to cut your lawn routinely so that way you are able to maintain the 1/3 rule and your grass will appreciate it. If you cut at least every 10 to 14 days you should be okay unless you have a lot of rain that will require you to cut more often like once a week. Thank you for visiting. I like when you said that maintaining a certain length of grass in the lawn will be beneficial in maintaining the healthiness of your lawn to avoid possible diseases caused by pests that can inhibit in it. I am an office worker who barely finishes my household chores, as I tend to work overtime. Keeping my lawn healthy not only makes a good impression to the guests but also making sure that I’m not being pestered by insects in the home so I will make sure to hire a professional in keeping this maintained while I’m doing my office work. That would be a great thing for you to do. I a lot of people are to busy with other things that keep them away from doing yard maintenance. But that is what the local yard companies are there for. I am pleased to know that you have a concern about keeping your yard maintained. Thank you so much for visiting and sharing.